WELCOME TO CHEAP SUBSCRIPTIONS - a price comparison website for finding cheap magazine subscriptions. 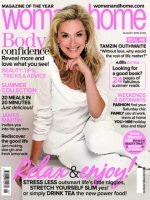 We show you the best UK magazine subscription offers direct from the publishers and major online retailers so you can be assured of finding the cheapest prices and best free gifts. We also keep you updated with what's in the latest issue of your favourite magazine. 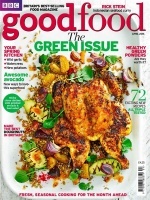 Compare magazine subscription prices now and save up to 95%. 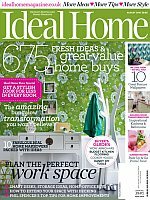 Search for your favourite magazine below and see how much you could save! Looking for a cheap gift subscription for a special occasion? Order online, then download and print a personalised gift card to give out on the day. All subscriptions come with FREE delivery each month! We have a huge selection of subscriptions for you to choose from - whatever you're interested in, there is a magazine for you. Magazine subscriptions make a great gift for special occasions such as Father's Day, Mother's Day, Christmas and Birthdays. You can order them as gifts right up to the day and simply print off a gift card to give to that special person. Sign up to our newsletter now for exclusive competitions, discounts, voucher codes and special offers. Be the first to learn about the latest deals - some time sensitive offers only get sent to our newsletter subscribers and don't make it onto the site so subscribe now and never miss out. Start saving money on your favourite magazines by using the search box above or visiting the A-Z Magazines page. If you can't find what you're looking for, please let us know and we'll get it added in no time!